Varna Bulgaria November 03 2013: Directly Front View Of Apple.. Stock Photo, Picture And Royalty Free Image. Image 40958222. 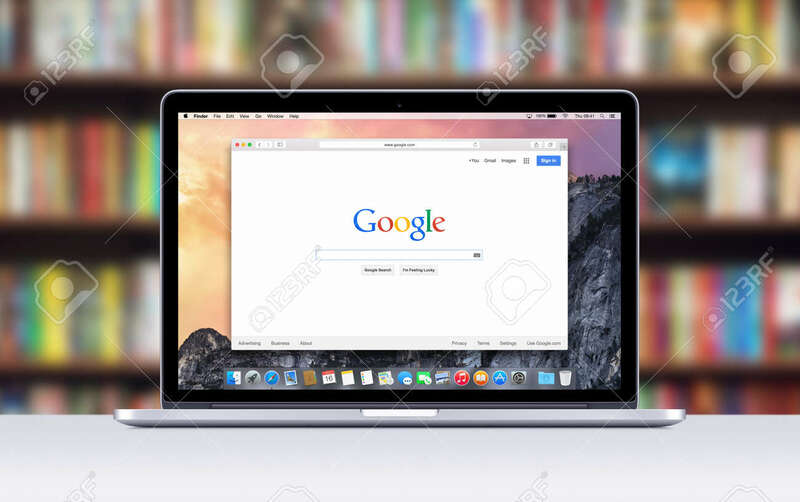 Stock Photo - Varna Bulgaria November 03 2013: Directly front view of Apple 15 inch MacBook Pro Retina with an open tab in Safari which shows Google search web page. Blurred bookshelves on the . Varna Bulgaria November 03 2013: Directly front view of Apple 15 inch MacBook Pro Retina with an open tab in Safari which shows Google search web page. Blurred bookshelves on the .